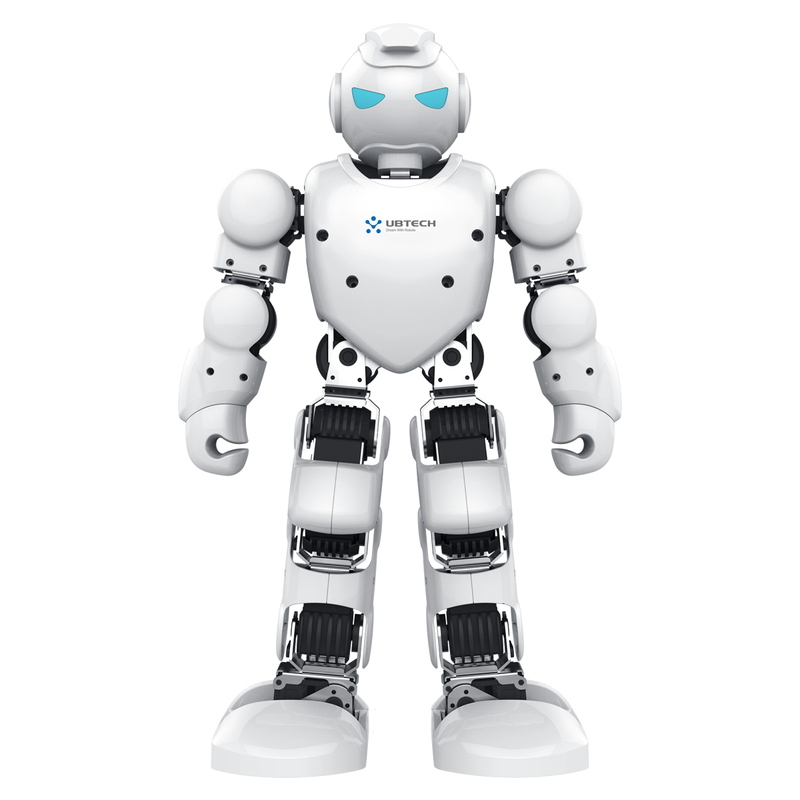 Alpha 1 S of UBTECH is a fully programmable humanoid via Smartphone or computer for lovers of robotics or destined for an educational setting, it adapts to all levels! 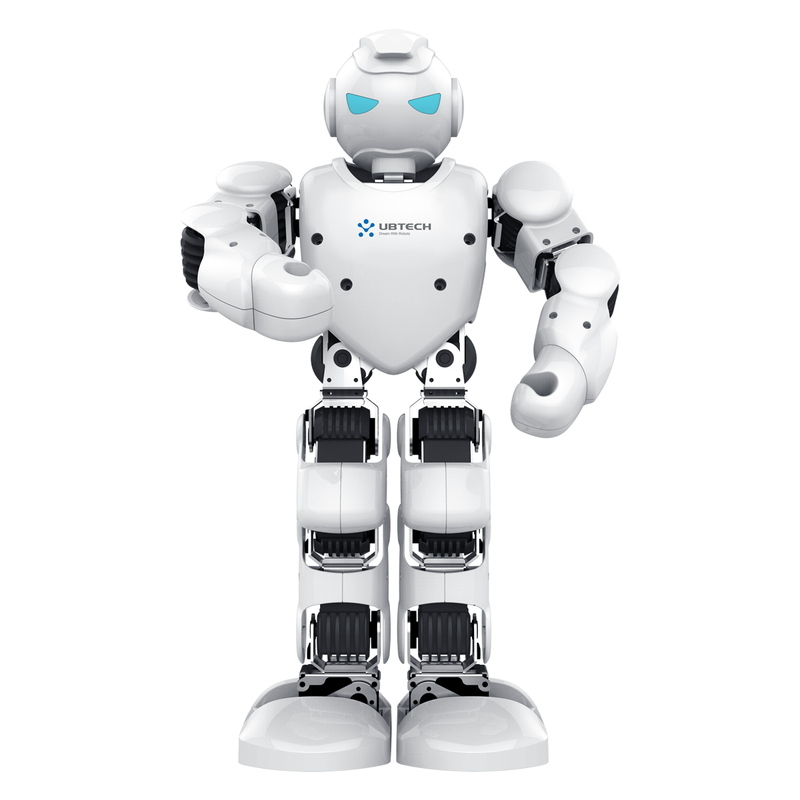 With 16 servomotors he directed a large number of movements, perfect for fun or improve you programming. 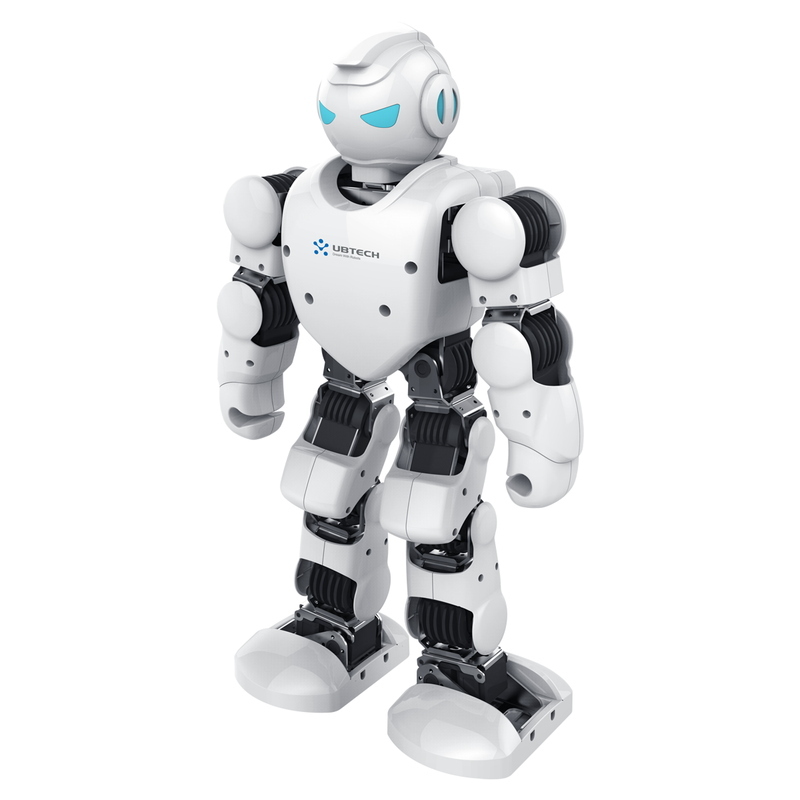 The Robot humanoid Ubtech Alpha 1 S has 16 degrees of freedom to allow the movement of her legs, hands and thus to perform several complex movements, for example, roll forward and backward, do the handstand, carry out movements of Karate of hiphop… and many others! 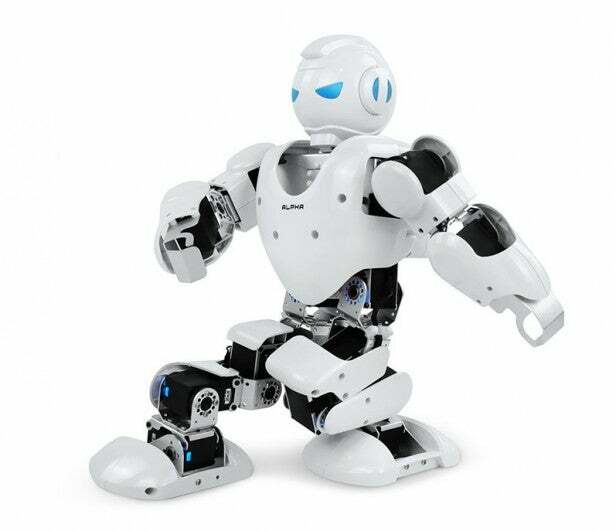 Alpha is equipped with many features, which many of them (3D modeling of the software, the servo-motor, the PPR program) have been developed and patented especially for this robot. Thanks to its high quality and housing ABS aluminum chassis, it is built high quality and ecological materials. Alpha 1s will delight the young and old. Whether you use it for your sports training, to tell stories to your children or to start learning programming, Alpha 1s will always fill his role to perfection! Source of entertainment, Alpha 1s is very fun to control at all ages. Equipped with a built-in speaker, it is the ideal instrument to transmit educational programs for children, and its interactivity makes learning easier. 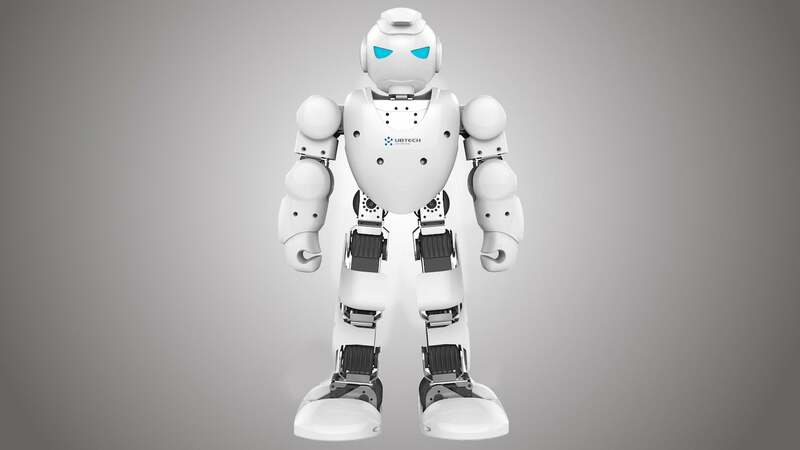 Thanks to its 16 servo-high performance engines, the Alpha 1 S robot has maneuverability and a disconcerting degree of flexibility. Able to do push-ups and rolls, more no movement is out of reach! 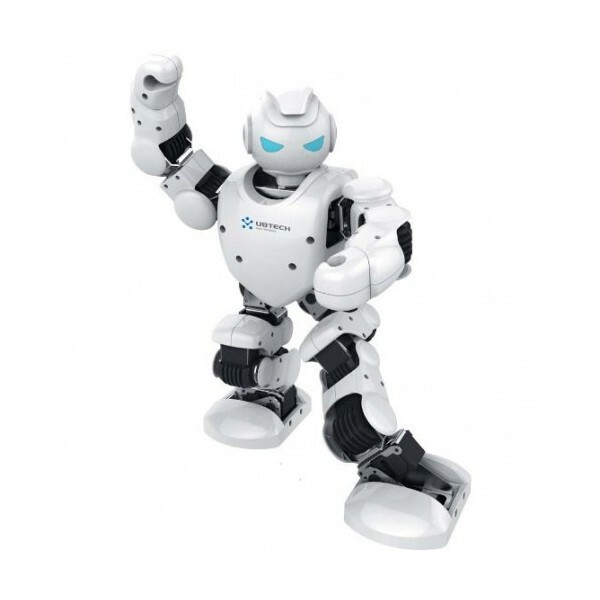 Thanks to the AlphaRobot1S software, program your own choreographies.Define movements using intuitive 3D interface and choose a sound accompaniment, and then transfer the sequence on the robot and throw it through the application with ease. Then share your creations with other users via the application. 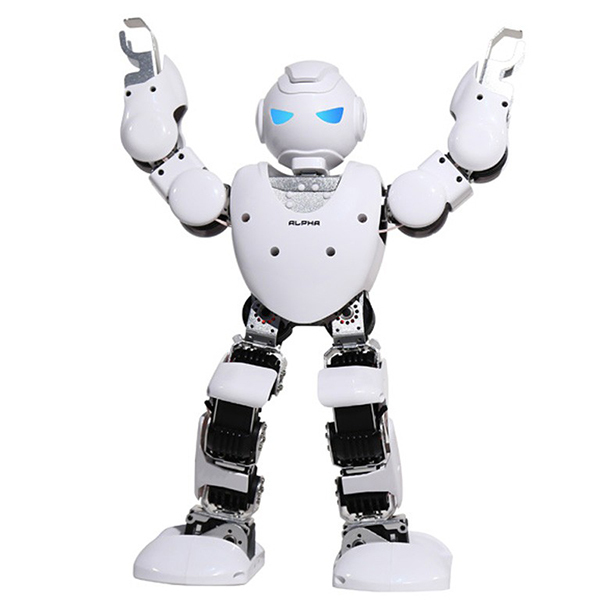 Alpha1S with the bluetooth Alpha1S app available on the App Store andGoogle Play, control the robot directly via your smartphone: do dance, talk, play football using the predefined modules, or using the free move mode.You can also program Alpha directly from the app! Available on iOS and Android.